This is the fourth post in a multi-part series on the Realm Database; it highlights some of the multi-platform aspects of the the database and the high reusability of the code across devices. If you missed the first post on our custom engine, the second post on the benefits of some of the Realm API types, and the third post on sharing code across platforms, we recommend taking few minutes to read through. Also make sure to check out the fifth post on Realm SDK features that allow developers to provide partial UI updates based on fine-grained notifications and the final and sixth post, which shows how the features in the previous parts come together to make a database for modern mobile apps. A third-party SDK might empower you or get in your way. For example, a highly functional but monolithic library will allow you to quickly implement some basic app logic, but create more trouble than value down the road. Any SDK, third-party library, or service you’d like to base your own product on should exhibit the same qualities you aim to have in your own product. If you’ve read the previous posts in this series, you remember that we’ve prepared a little companion project to provide examples for the features highlighted in each article. You can always clone (or download) the project from its GitHub repository and peak inside. Let’s take a quick look at how the Realm Swift SDK helps separate concerns in the companion project. We didn’t stick to a certain architecture since you might like a different one; this way you can read through the code and apply what you like best in your own project. The data entity class can be, therefore, re-used as-is between platforms - it only makes use of common Foundation types and Realm itself. But let’s move beyond the data entity classes. 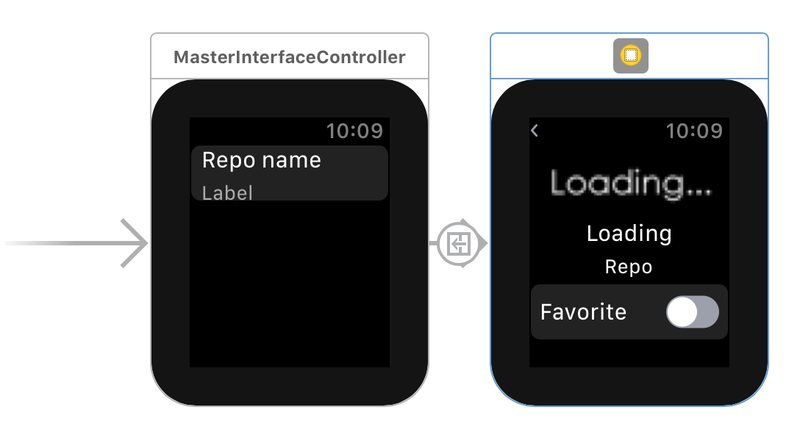 Regardless of the specific UI components each project makes use of, in the end you’d like to present a list, and therefore you can separate the “presenting a list of repositories” logic from the target-specific UI code. Storing and retrieving data is handled by Realm - the API depends on Apple’s Foundation but no other framework, so your Object subclasses and/or other code that handles your entities can be easily abstracted away from your main project. This layer also implements any specifics of your data model that need to be tightly integrated with the code talking straight to your Realm database. You can check out the companion project to see others, like toggling the repo’s “favorite” status. This layer implements application logic that can be abstracted away from specific platforms. We already mentioned “presenting a list of repos”, but this layer also handles “reacting to data model changes” and networking. A ReposListPresenter class takes care of presenting a list of repositories. It talks to the data layer in order to load a list of repositories and keeps the list up to date. loadRepos(searchFor:updated:) searches the Realm database for matching repositories, creates a notification subscription for the result set, and binds change notifications to the updated parameter closure. Finally we have a look at the target-specific UI code. Each target features its own storyboard, using the native controls for that platform. The view controller classes for each platform all use ReposListPresenter and implement their own UI update code in the callback. 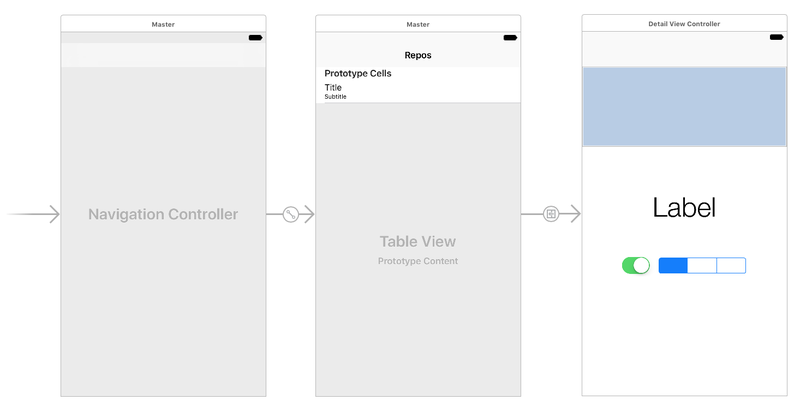 The NSTableView API allows for handling tables with multiple columns and features macOS-specific update animations. This piece of code uses UICollectionView.performBatchUpdates(_:completion:) to reflect the data model changes in the UI. You can see that the code is similar in logic but different in syntax compared to the macOS code. Since observing for changes and triggering the update closure are abstracted away, the current layer only cares about platform-specific UI code. You saw how easy it is to separate concerns in the demo project. As the app gets more complicated, the different layers can be abstracted further away into separate frameworks, and, potentially, be re-used in other projects as well. It is important to notice that, even in its beginning stage, the project is already implementing a reactive architecture, thanks to the Realm SDK. The app is message driven. For example, the ReposListPresenter only reacts to change notifications, while the GitHubAPI class focuses on networking and updating the repositories in the database. The two primary classes that read and write to the database work completely independently (and possibly on different threads), and rely solely on Realm’s notifications to trigger updates. The app is resilient, as the Realm SDK is incredibly sturdy and allows you to easily avoid data persistence problems like merge conflicts or lost data. By allowing you to easily decouple classes, any issues you experience in a class that writes the data will not affect your presenter classes. Finally the app is responsive, as it maintains a local cache of repositories in its Realm database. As soon as you open the app you can browse and search the locally stored repositories while a fresh list is being grabbed in the background. As soon as the updated data is received and stored on disc, Realm delivers change notifications and the app updates all relevant UI by animating items in or out. Last but not least, since the Realm SDK has already turned the project into a reactive app, you can always build further upon this foundation (if you need that). 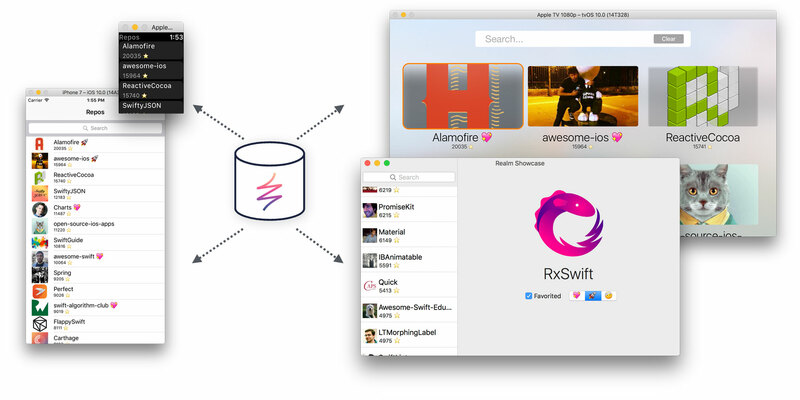 If you’d like to use a third-party reactive framework, you can easily integrate it on top of the current project code - for example RxSwift for iOS and RxJava in your Android project. In this post, you learned about some of the ways that the Realm SDK empowers good architecture. The SDK is powerful and very flexible, so no matter which particular architecture is your favorite you’ll be able to separate concerns, decouple classes, and be sure your data is safe. In the next installment in this series, we’re going to look in more detail into Realm’s fine-grained notifications, and why you don’t need a fetched results controller when using a modern database.